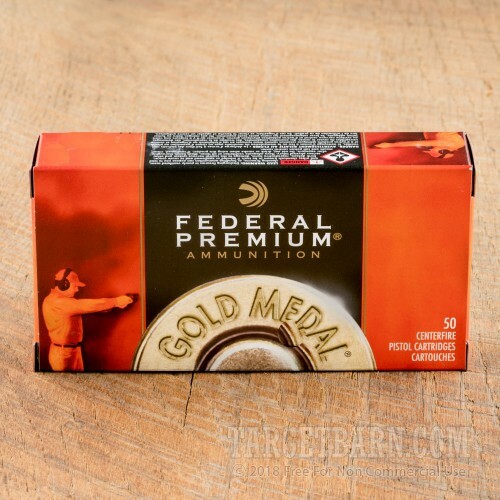 Competitive shooters will thrive on the low recoil and great accuracy of this .45 ACP ammunition from Federal's Gold Medal series. 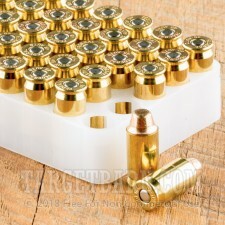 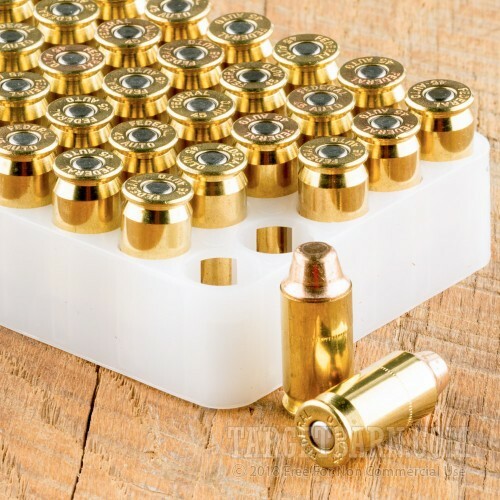 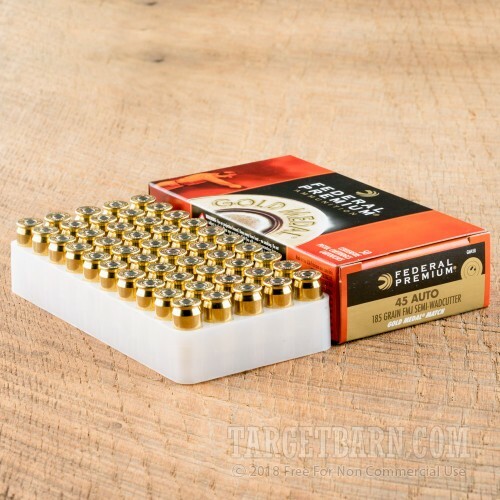 These cartridges use a light target load that fires a 185 grain jacketed semi-wadcutter bullet at 770 feet per second. 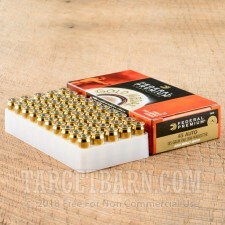 In addition to excelling at the rapid aimed fire often featured in match situations, this ammo is excellent for new shooter training due to its modest kick and ability to punch clean holes in paper targets. Federal ammo is loaded in Anoka, Minnesota using non-corrosive primers and reloadable brass cases.